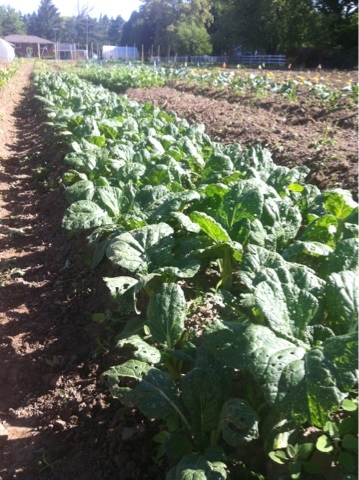 Creek Shore Farms: It's growing! Well it's nice to see that we finally have some growth on our long ago planted crops! We have just finished harvesting a beautiful bushel of peas and are looking forward to picking some stellar greens this afternoon. 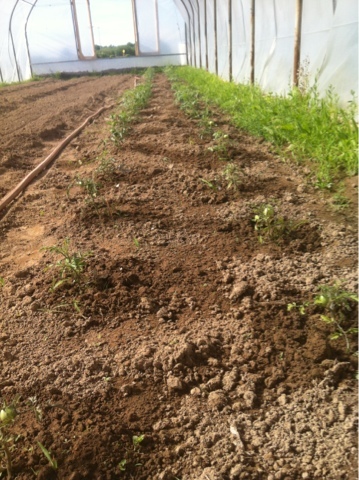 We also have planted peppers, eggplant and cucumbers in the hoop house. So far we are really happy with the performance of the plants and are looking forward to watching them grow. The pigs are doing really well and are starting to get friendly. They happily come over to the fence and say when we go out to see them.